I seem to have got myself in a frugal crafting groove after the past couple of posts! 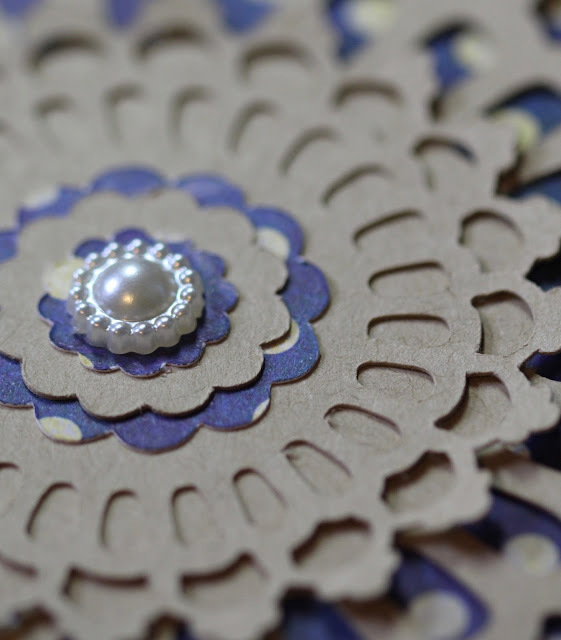 In all my projects I'm mindful that stamps and die cuts can made projects seem very prescriptive. But just use it as a launch pad for your creations. Or sit back with a cup of tea and watch the videos. There are always plenty of techniques snuck in there! 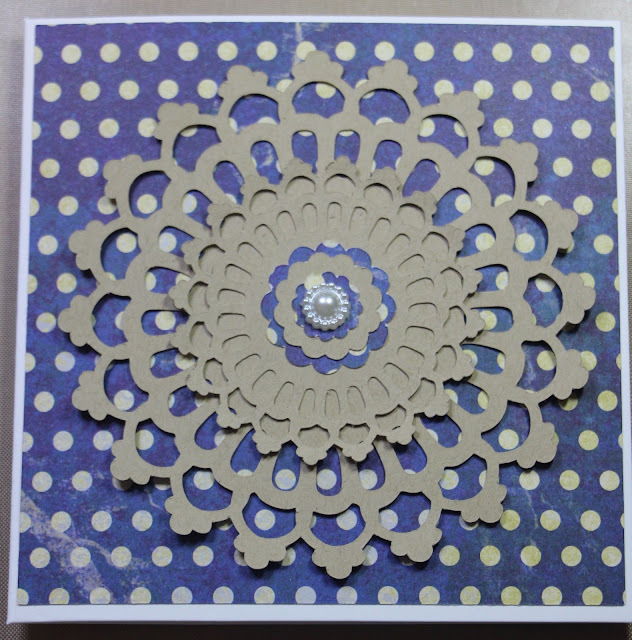 So here's the first card, it's made with two die cut doilies layered on top of each other and a bit of jooosh in the centre. (Or - flat backed bead - for those who prefer real words.) 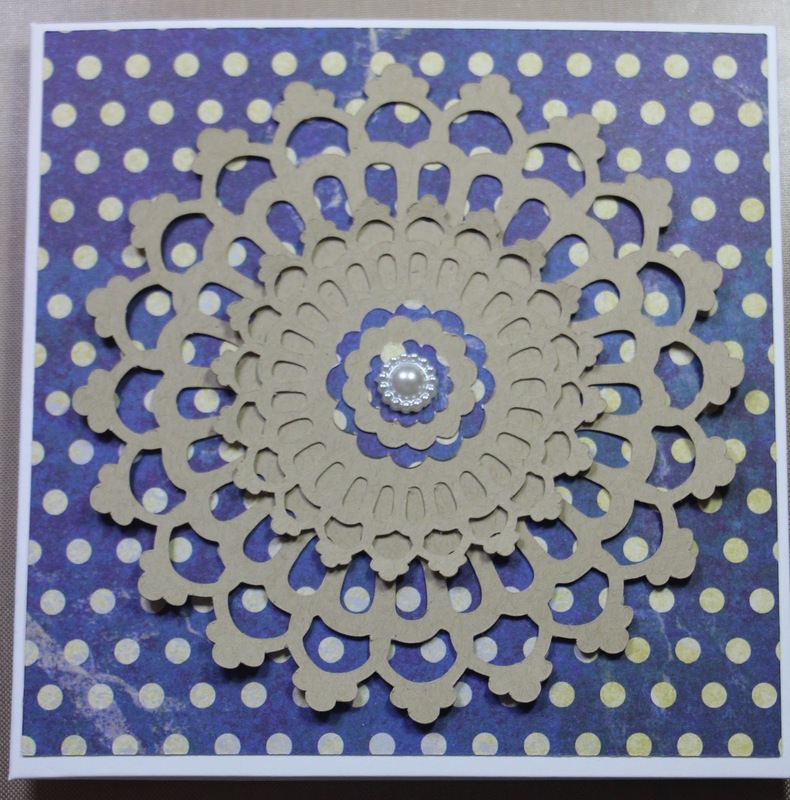 What's nice about this card is that there are only 2 types of card used, one plain and one patterned. I've never had a whole load of patterned paper in my stash. I find solid block colour cardstock much more useful and use more kraft, white and cream than any other colours. I also like generic cards which are suitable for anything and any gender. 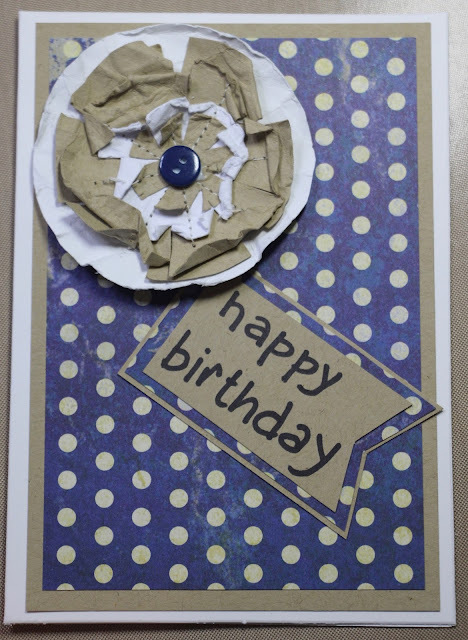 This second card is very simple and is just two layers finished off with one of the handmade flowers from this post. The sentiment is hand written and can be adapted to suit the occasion. It was added here to show you how I might have finished the card off. Generally I have a few of these type of cards made up, ready to have a sentiment added when I've forgotten people's birthdays for example! Grab that cuppa. Here's the video.